Media captionZoe Sharam bought her hepatitis C drugs off the internet. 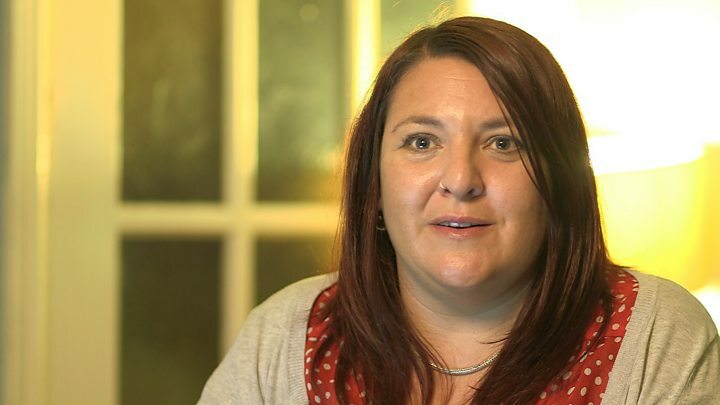 A charity that tried to force the NHS to buy more of an expensive hepatitis C treatment received large amounts of money from the drug's manufacturer, the Victoria Derbyshire show has found. The Hepatitis C Trust has taken £200,000 in grant funding from US drugs giant Gilead since 2014. Last year, it unsuccessfully took NHS England to court for restricting access to the medicine on cost grounds. The charity denied being influenced by the drugs industry. It said it had always acted in the interests of patients. In 2016, the Hepatitis C Trust brought a High Court action against NHS England to try to force it to reconsider a controversial decision to limit, or "ration", a new cure for hepatitis C.
The new range of pills, which has completely changed the way hepatitis C is treated, is thought to be 95% effective at curing the disease within eight weeks. Before this, it could only be cured with a year of injections, often with damaging side-effects likened to those of chemotherapy. The first of these new drugs, Sovaldi - manufactured by Gilead - has a list price of £34,983 for a 12-week course, although a confidential deal with NHS England will have reduced the final cost to the health service. In 2015, the health watchdog NICE ruled it was cost-effective compared with older medicines. NHS England set aside an extra £200m a year to pay for Sovaldi and other new hepatitis C treatments. But in 2016, faced with the high price of the new pills, it decided to limit the drug to 10,000 people a year, rising to 15,000 by 2021. An estimated 215,000 people in the UK are infected with hepatitis C, a virus that can cause liver damage and cancer. Access is not restricted in Scotland, Wales or Northern Ireland. In the charity's case against the NHS, Gilead - along with rival drugs-makers Bristol-Myers Squibb and AbbVie - were listed as "interested parties" to the court case, according to documents seen by the BBC. An analysis of the charity's accounts shows it has longstanding financial links with drugs manufacturer Gilead, and other pharmaceutical companies developing new cures for hepatitis C.
In 2016, the Trust accepted a total of £334,700 from five large pharmaceutical companies - 35% of its total income. For the financial year ending March 2016, it listed a £108,825 grant from Gilead. This level of drug industry funding appears to be significantly higher than most other charities and patient groups working in areas of the health service. Some refuse to accept any funding whatsoever from pharmaceutical companies. Watch video journalist Jim Reed's full report into hepatitis C drugs on the Victoria Derbyshire website. In September 2016, the charity lost its case. Mr Justice Blake ruled that the limit was "not an arbitrary cap", but a way of treating the most serious cases first. In his ruling, the judge suggested the drugs companies themselves might have been funding the legal action. Charles Gore, the chief executive of the Hepatitis C Trust, strongly denied this, and said the court case was publicly crowdfunded. "We were doing this for patients. The fact that drug companies stood to benefit from it was neither here nor there," he said. "We mustn't be in the pockets of big pharma [pharmaceutical companies], or seen to be in the pockets of big pharma. "The NHS tries to influence us, the drugs industry tries to influence us, lots of people try to influence us. But it comes back to the same thing - what's right for patients?" Other charities have been critical of patient groups that take large donations from drug companies working in the same area. Nick Harvey from Doctors of the World UK, which campaigns for greater access to hepatitis C drugs, describes this trend as "very worrying". "Invariably the charities focus on the NHS for not allowing medicines to be given to them, and the blame goes towards the NHS. "Hardly any of the debate is about the pharmaceutical industry and how much the medicine costs in the first place." One expert, Dr Andrew Hill - from the University of Liverpool - claims the drugs firm is making "vast profits here, tens of billions of dollars". Gilead said any support it provides to patient organisations is given "transparently, in accordance with industry standards and all applicable regulations". In a statement the company added: "Our hepatitis C treatments offer value for money, as independently assessed by NICE." "Curing patients both prevents onward transmission of this infectious disease [and] greatly reduces the financial burden to the NHS." An NHS England spokesman said "by focusing on the sickest patients [with the new oral treatments] we've reduced mortality from hepatitis C by over 10% in the space of just one year".